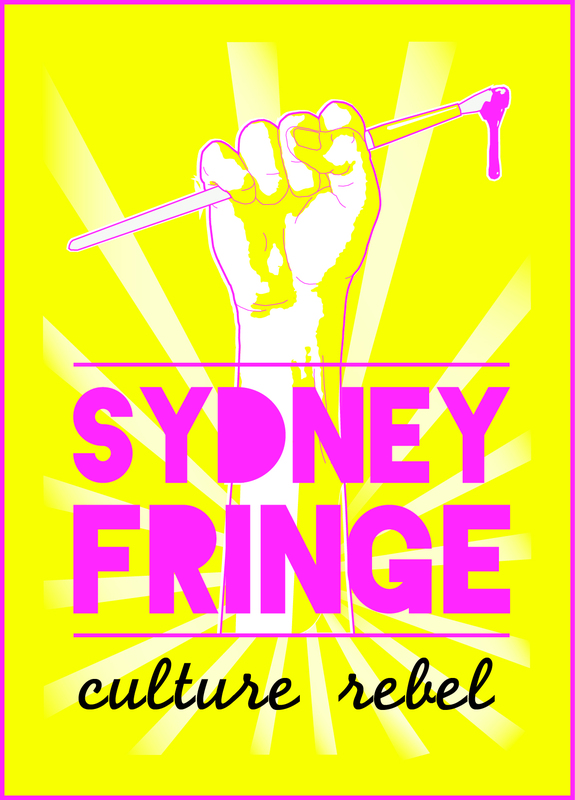 One of the joy’s of The Sydney Fringe Festival is the lucky-dip theory of never being sure of what you’re going to get. However when you have talent like Lisa Chappell and Christopher Stollery you know that you’ve dipped into that bag with your eyes wide open. 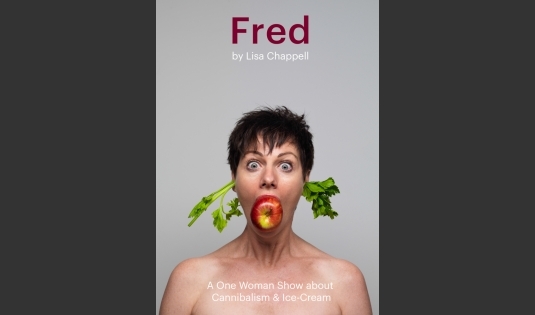 Fred is an action packed, thrilling one-woman show in which the extremely lucky audience get to gaze upon the very beautiful Lisa Chappell. But of course, The Sydney Fringe is not the place to cruise on your looks, and so Lisa Chappell gets to give us the raw guts of her talent. Fred is all her own work, written and performed in a slowly stirring performance that relies on the actor’s ability to hold her audience in the palm of her hand and the story’s ability to twist and writhe. Weaving in and out of multiple points of view with a narrative that repeatedly semi-climaxes, the hour long monologue transforms its plot through to the very last line, which becomes a climax that will stay with you for hours. By no means is Fred a simple tale, but its slow seductive unfolding means the audience is never left abandoned and struggling by the story, nor frustrated and empty by a prematurely revealed tale. Chappell’s a talented writer and knows how to let a story unfold in the most interesting ways. Deirdre is a teacher who lives alone and is struggling to pay bills and eek out an existence for herself. She is instantly captivating, but we know from the get-go that not all is completely OK in Deidre’s world. It is her story about two handsome salesmen who come to her door that reveal the darker side of Dierdre’s struggles for self-actualization and her search for survival in a very strange world. Cannibalism has been used to humorous effect before, but Deidre’s tale worms its way into your grin, first as an uncomfortable worry and then as an appalling awareness as the dark details of Deidre’s ordeal come to light. And yet it is her lightness of touch, her witty self-conscious witness to her own horrors that keep the watcher’s uncomfortable grin firmly in place. She tells her tale with such humane warmth and down-to-earth intimacy that the audience are constantly in that strange place where humor and horror intersect. The result is the perfect balance between entertainment and self-examination. None of the story would matter if Lisa Chappell wasn’t such an enveloping performing, managing to be both big and small together in the space of the 505 Theatre . She is charismatic, even when she is shy, and the audience develop a passion for her, even as she relates aspects of her psyche that may not sit awkwardly. Chappell has that talent all great performers possess: she can make you feel as if you are the only person in the room and this performance is tailored to you. Her capacity for intimacy coupled with the broad sweep of the journey of the narrative create an absorbing hour that is impossible to forget. Lisa Chappell is in good hands with Fred’s direction handled by Christopher Stollery. He moves Chappell around, bouncing her from plot device to characterization effortlessly, bringing energy and life to an often torrid tale. While the focus on Chappell is never lost, his presence is always there, in some ways like the character of Fred himself, hovering, involved and perceptive. Lighting is used like a costume, props are flesh and a single chair becomes an apartment filled with furniture under his direction. The marriage of creativity between Chappell and Stollery is a natural one, leaving one with a larger impression that the one-person show usually creates. Fred is a great way for me to begin my Fringe experience. It’s showing at the fantastic 505 Theatre (what a stellar year they’re having – I’ve seen so many great shows there this year) and is a not-to-be-missed experience. Fred is on from Wednesday 28 August through to Sunday 8 September. You can grab your tickets here.